Invidia N2 Exhaust Systems feature a cannon style muffler for maximum flow and minimised back pressure, resulting in significant mid to top end power gains. 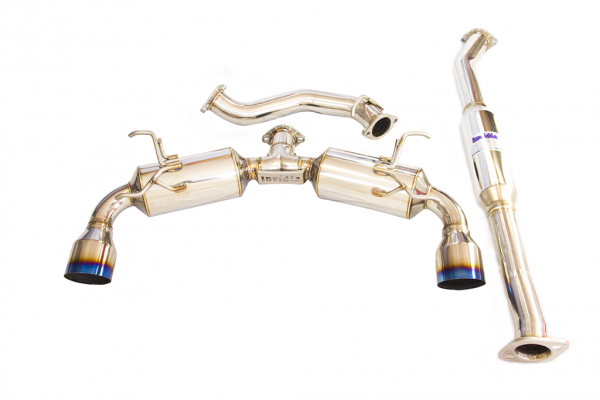 Invidia N1 exhaust systems feature a large diameter burned Titanium tip for an aggressive look. 1.5mm thick, 70mm diameter, mandrel bent T304 Stainless Steel piping - greatly reduces the risk of cracks and breaks developing, reduces rasp and vibration.